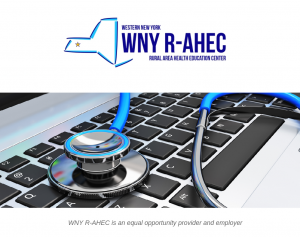 WNY Rural Area Health Education Center (R-AHEC) is seeking a qualified candidate for Program Specialist. Working collaboratively as part of a team, job duties may include: outreach, marketing, preparing newsletters and promotional materials, coordinate educational programs, customer support and service, general clerical assistance. Knowledge of MS Office applications is required. Qualifications: Associates Degree or higher, customer support experience preferred. Skills Desired: Good oral and written communication skills, positive attitude, willingness to learn, goal oriented, attention to detail, quality focused, and dependable. Please send letter of interest, resume and three references to: Valerie Putney, Director of Programs, PO Box 152, Warsaw, NY 14569 or email to vputney@r-ahec.org. This organization is an equal opportunity employer and provider.